TODAY marks a great accomplishment for me!I really thought I wouldn’t survive – but I have. And I’m STILL HERE to tell you all about it! 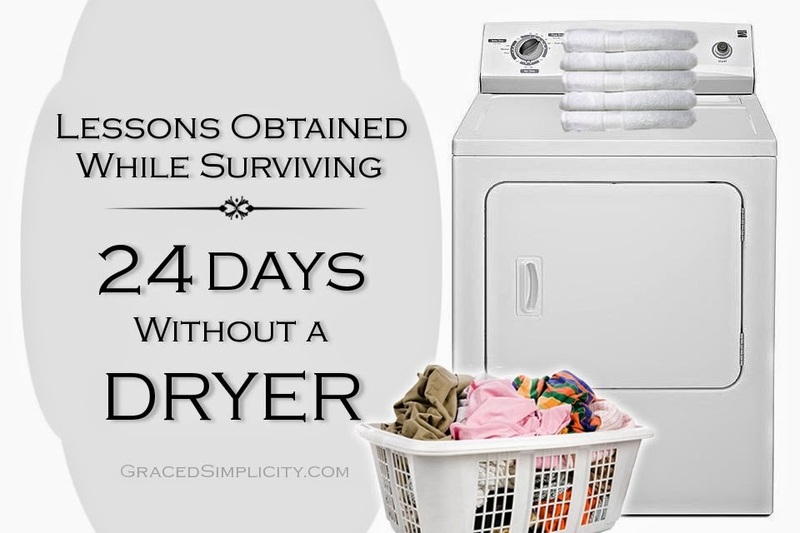 You see – I’ve been without a dryer for 24 days! The first few days weren’t the prettiest, and I wasn’t enjoying wearing clean but, very crunchy dried undergarments, nor was I thrilled to have my family do so as well! over a relationship in the laundry room with this “trusty” appliance friend. How could this happen? I mean right now?! Really?!! We didn’t have the funds right now for this, and we had to wait before we could purchase a new one. “How long will the wait be?” “I’m not sure I can manage my household without this appliance!” But, I realized quickly – I had no other choice but to survive this dark momma valley. 1.} How spoiled we Momma’s & Wives are here in America. 2.} To complain about laundry taking up so much time in one day – is ridiculous. Especially when we have modern appliances. Because it takes THAT much longer WITHOUT them. 3.} It’s made me appreciate all the women in our past. To ponder all the things they had to go through – just to wash garments of clothing for their family. 4.} I could really use a clothesline – I’d use it for several garments of clothing! 5.} It’s hard to hang laundry outside to dry when the weather changes from 80’s to snow in just one day – here in our state, also amongst spring rains mixed in and chilly freezing temps, it makes it very difficult. 7.} Couches really make great drying racks, so do counters, fireplace mantles, tables, doors, beds & curtain rods. 8.} It takes approximately 24-48 hours to completely dry a pair of jeans inside during freezing temps outside. 9.} It ain’t very pretty! 10.} Having company just drop in, and not having a place to sit is kind of embarrassing! 11.} 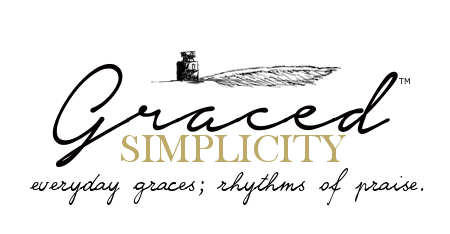 The simple life years ago, really wasn’t really simple at all – when it comes to daily everyday work that is. 12.} One full load of laundry can fill two rooms within minutes to dry, and when it’s nice outside, it fills the back deck rails. 13.} Folding laundry on the spot after it’s dried eliminates a step while doing laundry, and seems the most logical. 14.} When hanging our whites outside – they were whitened and brightened drastically by the sun and some of the sad looking dingies looked more pleasant. 15.} The cats & dog like to play under the hanging clothes outside, and sometimes pulled them down. 17.} Our electric bill did show less electricity used, but wasn’t as much as I thought or hoped it would be. 18.} I was able to get outside more often than I normally get a chance to do, during the day. The extra sunshine and fresh air did well for this Momma. 19.} I learned that running errands one day and expecting to “catch up” on the laundry over the weekend doesn’t really work. 21.} It REQUIRES planning ahead – No longer can you expect to finish a load of laundry within a few hours. 22.} Depending on how warm it is outside – or how windy depends on how long your clothes will take time to dry. And too much wind isn’t a good thing when you don’t own a clothesline, all the clothes blow off. 24.} Stiff towels & “crunchy” undergarments were my biggest drawback to not having a dryer. They were just very unpleasant on the skin. #1stworldproblems – I know. 25.} The stiffness of towels and undergarments were lessened when I could actually hang them outside, and when I added 1 cup of vinegar, and a few drops of essential oil to the washer. Though the towels were still not as fluffy as they are when they come out of the dryer. 26.} Drying bed linens and blankets outdoors was my favorite! Yes, I hope to get a clothesline to continue doing this with more “ease”. I thought they dried much quicker outdoors in the sun than they do in a dryer. 28.} Drying things over a heat vent helped dry things faster during the cold snaps we had. And turning on the ceiling fan helped to speed up the drying process as well. 30.} Yes, #29… did cross my mind….and was said. And though we DID choose that a dryer was needed for this time and stage in our lives, I am thankful to have experienced this little upset in life, so that I can be more appreciative for the things I do have. I also decided that, a lot of the things I use to dry in a dryer, I will now be hang drying. And a clothesline would help me in that process. Each one has served us well, but I won’t disguise that I am beyond excited and praying for many years of use and wear out of this one, all by ourselves! The 24 days without a dyer has been a good learning experiencing, and has also allowed me to appreciate even more things in life. We are so blessed friends, so blessed we ALL are! Do you have a dryer? Do you hang your clothes indoors or outdoors? I’d love to hear what you do, and any tips you might have! Have a blessed day, sweet friends!